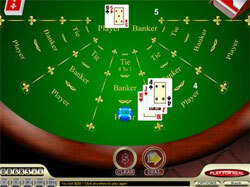 France plays one of the main roles in baccarat card game's development beyond any doubts. Actually, there are even arguments concerning what country should be considered as the place of baccarat's birth: France or Italy. 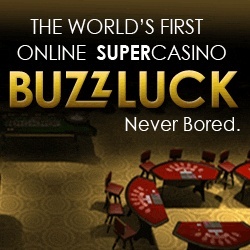 One version says that the French have just changed the name of Italian baccarat game after Charles VIII had brought it from Italy to France; other researches believe this game to be originated in France from the card game of blackjack. Anyway, two baccarat variations have been created in France which are considered to be the classical versions of the game. Charles VIII (the King of France (1470-1498). He is believed to bring baccarat card game to France from Italy during the Franco-Italian war; baccarat game had been played by Tarot cards then. Louis Philippe (the King of France (1830 - 1848). This person was a big fan of baccarat card game and played it with pleasure himself. The version is that baccarat evolved from blackjack during his reign but it was not true because these two games (baccarat and blackjack) are completely different. Napoleon (the French Emperor - (1805-1815). He liked baccarat very much; during his reign baccarat had been played in many illegal casinos and gambling clubs: baccarat was the game of aristocracy only, so, middle class people developed this game in their own way - illegally. But! The rule of the third card was the same for both games; and it remains the same today. At the very beginning of the 20th century French immigrants together with English colonists helped baccarat to move and start its development in America: first, it was not very popular there but the 1950s had changed the situation. So, it is a high time to say thank you to the French for giving the second breath to baccarat which had made this game to become one of the most popular casino games today.